We know a lot of you have been super hyped for Sekiro: Shadows Die Twice, and were super thrilled when we announced James would be doing a playthrough of the game over on our YouTube channel. Of course, we're all about the mods here on GameFront, though, and this particular one seems to fit the spirit of James' sense of humour perfectly. 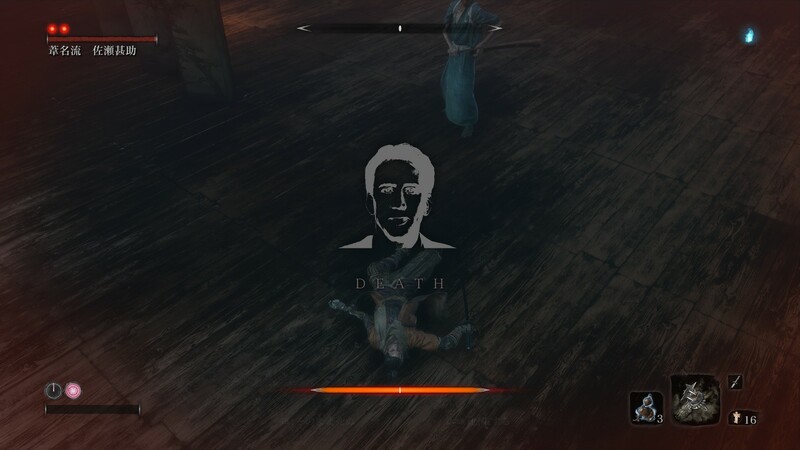 Created by modder kasaiji, it does one simple but inexplicably hilarious thing - display Nicholas Cage's face on the screen every time you die. The face is grey when you're able to revive, and red when you're actually dead dead - something James would seldom like to see no doubt, should he install this mod, given the number of pushups it would require him to do. It seems to have been inspired by a similar Dark Souls 3 mod, which replaced textures in the game with images of Cage, and Shrek, for some reason. Would you like to see James install some mods during his playthrough? Let us know in the comments below!